Lacey Picazo of ZoCo Design graced us with her presence at April’s Rise & Design to brave all our hopes, dreams, and fears of what it’s like to start your own agency. The first Friday in April is going to extra exciting this year, everyone. Luckily for us, Lacey of ZoCo Design has made that giant leap and she's willing to come to Rise & Design to let us poke her with all our questions. It's one small step for a solopreneur, one giant leap for creative kind. Yeah, I got cheezy. Lacey is the Founder and Principal of ZoCo Design, a brand strategy and user experience agency in the heart of Grandview. A small shop, Lacey has experienced first hand the change that happens while evolving ZoCo from a studio of one to a studio of a dozen—feeling the pressures of wearing every hat and the dangers of owning roles you don't love, all while trying to stay true to the values that brought ZoCo to life in the first place. Five years in, Lacey finally feels like she's found her sweet spot and is excited to share her experiences with the Rise & Design community! 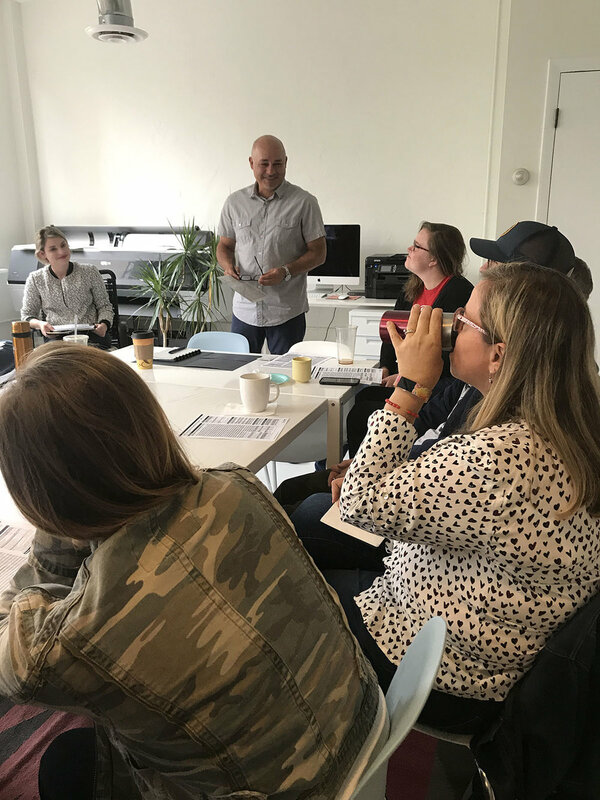 At March’s Rise & Design we gave each other a massive boost, reminding that yes, we are totally awesome and we deserve fair pricing for the great work we do. We discussed value pricing, product pricing, hourly vs project prices, and oh so much more. February’s meetup covered copyright infringement. It was a Rise & Design that was yes, filled with a few horror stories, but also loads of great tips and tactics to defend your work. Due to the popularity of our meet-ups and because of spacial restrictions, we've maxed out our monthly events at 30-35 attendees; this size keeps our conversations group-centric, allowing everyone to participate in the primary discussion. At January’s Rise & Design we dove deep into goal setting and how to make them actually uplifting, achievable, and actionable. 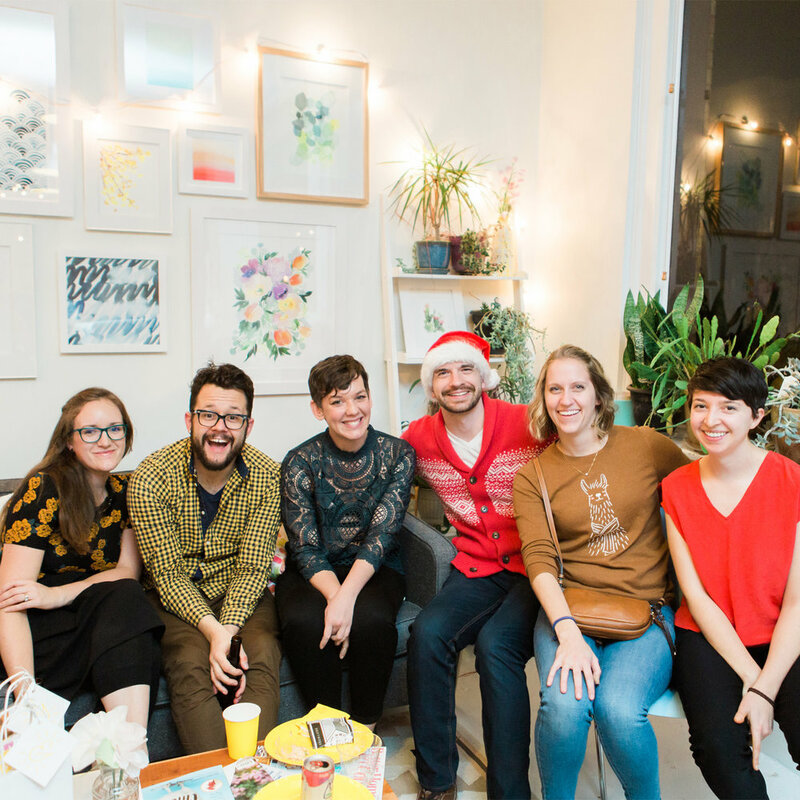 Mix & Mingle was our first holiday party at Rise & Design, and we couldn't have asked for a better shindig! Attendees drove from Wheeling, Cleveland, and Indy to imbibe the holiday spirits and make merry with us all evening. We are constantly humbled and excited about the creative community that we are building here in Columbus. Rise & Design could not be as awesome as it is without all of your time, hearts and ears. This holiday bash was really just a way to celebrate this incredible year that we've had and all of the inspirational people that we have all met. We strung festive lights and hung bunting with care, Yao's husband Eric was kind enough to bartend for us and our 50+ closest friends. Everyone brought cookies or snacks to share and stayed late into the cold December night. Beyond entertaining old friends, a handful of people came to meet up and feel out the vibe. We couldn't be more grateful. Many thanks to all of you that baked, supported, bought gift packs, and brought your experience and wisdom to our events in 2017. And a HUGE thanks to Christa Kimble Photography for capturing this event. We are looking forward to another fantastic year with Rise & Design. Join us for our January meet-up to kick off this year right! 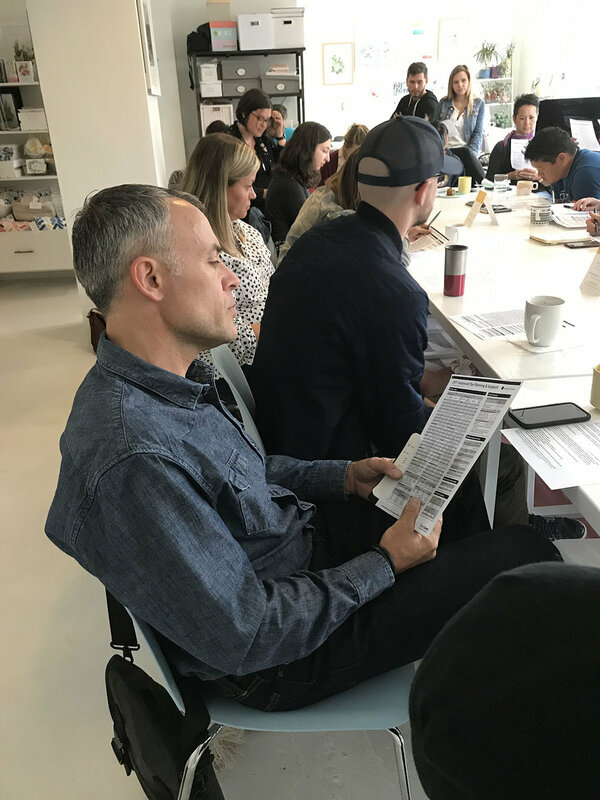 This past month, Ryan Appleton from Satellite Office, graciously allowed us to pick his brain regarding the agent/art representative facet of the creative industry in Rise & Design’s first-ever AMA (Ask Me Anything!) session. Ryan provided valuable insight on if /when hiring on an agent is the right move for one’s company and the affects doing so will have thereafter, for small businesses all over the spectrum. From a more traditional aspect, agents are also incredibly helpful not only in helping designers find work, but also negotiating terms, conditions, and pricing for projects. Often times, artists struggle with quoting a price for their work, typically undervaluing the cost. However, an art rep can help with this, recognizing what a fair price would be for a particular project and the steps involved throughout the creative process to get to the final work. Clients are sometimes unaware of everything that is involved in a project, so by creating a detailed invoice that outlines all of the steps and final pieces they are receiving, they are more likely to understand why the quote for a project is what it is. Again, we thank Ryan for his time and informative answers from our AMA! Visit our directory if you'd like to get in touch with him or any of our other talented creatives! We look forward to having more of these in the future with professionals from different industries. Our next AMA will be in September, featuring Ali Aried, who will chat with us about small business accounting. Hope to see you guys then! Let's be honest: mornings are hard. For those who can't drag themselves out of bed or away from the office, Rise & Design hosted its first bad and boozy cocktail hour in June at Curio. From 5 to well past 10pm, new friends came and went in the balmy summer evening. The vibe is casual, more relaxed than Friday mornings, some opting to bring spouses or significant others. Located just south of downtown, Curio is a centralized location for end of day hangs, narrow to encourage vulnerable discussion. 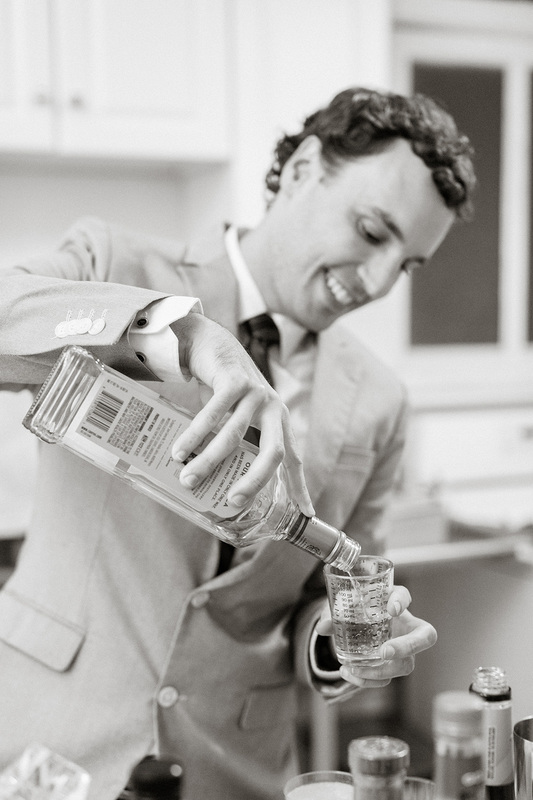 Unofficial R&D photographer, Christa Kimble, was on hand to capture the skilled hands of barkeeps, Ben and Caed, as they deftly mixed stiff drinks with heavy pours. Mixing spirits produce complex and vibrant cocktails. 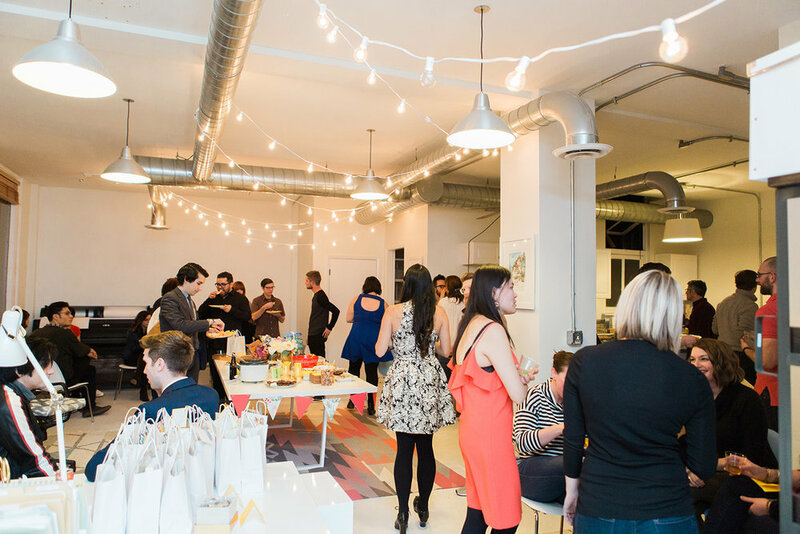 We believe the creative spirit also becomes more potent when we mix and mingle. Join us every summer month (June-September) on Wednesdays from 5-7ish, and add a dash of your craft to our community. We think you're top shelf! Stay connected with the Rise & Design community! We're proud of the diverse community we foster here in Columbus, from furniture makers to designers, podcasters to florists. Whether you're an entrepreneur or in-house, we want to celebrate your contributions and talents by becoming part of our directory! We created this page as a resource for referencing and sharing. Focus on the good conversations that are happening during the meet-ups rather than struggling to remember who's who. Roll in card free to keep the meet-up friendly and chill, catch up virtually later. Visit our Directory page, fill out a brief form, and attaching a high res profile photo to join Columbus's brightest doers and makers. We hope you can help us continue to build this great community of ours!